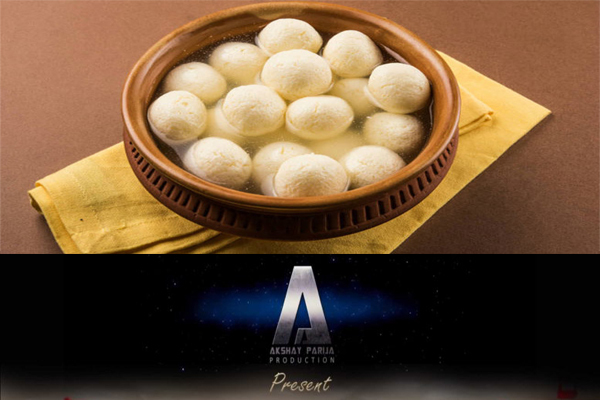 After the West Bengal state won the Geographical Index (GI) tag from Odisha for the Indian delicacy sweet Rasagola, a film based on the sweet’s history in Odisha is about to come in theatres. Film Producer Akshay Kumar Parija has decided to throw light on this biopic. He will showcase its history traced back to Odisha. On December 6, Parija revealed the prelude of the film. The story is based on the 12th century shrine, Jagannath temple in Puri and how the deities were served this sweet as ‘bhog’. The film is of high budget because of use of graphics, as said by Parija. As the movie will be produced and made in Bengali, Akshay was questioned about such. He replied, “The sweet delicacy has its roots almost 600 years back and has its origin in Odisha. The film is a love story and I aim to make it a worldwide tag”. The film is slated to release in theatres on December 21.